The Flatirons Rally Car made an appearance at Douglas Elementary to visit our youngest fans today. whoa, those kids were cute! Small as they are, they are already a fan of a Rally Car. Hopefully, the appearance will be worldwide. That's one awesome rally car behind those kids there. Hmmm... Those kids remind me of Speed Racer when he was young. 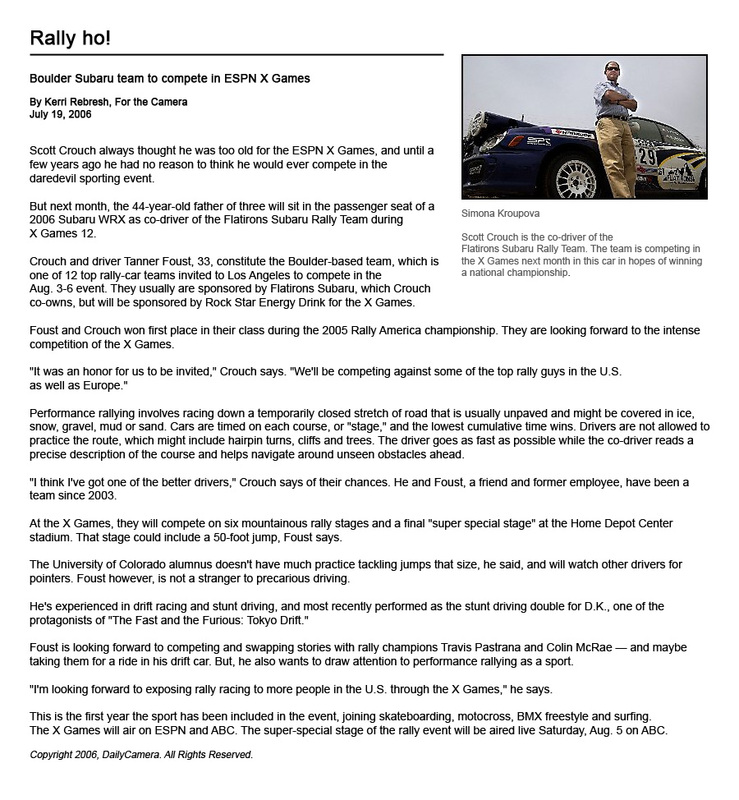 All he ever uttered were things about racing. Well, who knows? 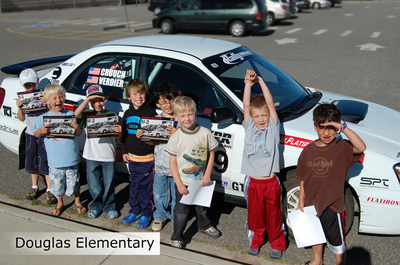 These kids could be the future of rally racing, haha!